Chief Creative Officer and Walt Disney Feature Animation boss John Lasseter had an unveiling for Disney stockholders this week as they met in New Orleans. The shareholders got a first look at preliminary work on The Frog Princess, a return to traditional animation whose main character is not the typical Disney heroine. The film will be a musical comedy set in New Orleans and will be centered on a character that the execs call â€˜The Newest Disney Princessâ€™, a young African American girl named Maddy, who will be joining the studioâ€™s franchise line of Disney princesses. The movie will be directed by John Musker and Ron Clements, directors of Aladdin, The Little Mermaid and Hercules. 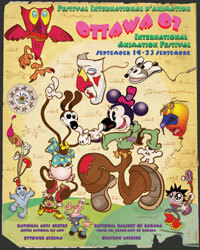 Those animators left the Disney fold several years ago, as the studio was turning away from 2-D traditional animation. 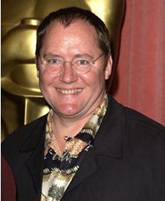 But one of John Lasseterâ€™s earliest acts as the new head of Disney Animation was to lure them back. Look for the filmâ€™s release in 2009, at which time you can enjoy the score by Randy Newman. Toonbreak – A better place to show off your animation! March 1, 2007 · Filed Under Animation News · Comments Off on Toonbreak – A better place to show off your animation! ToonBreak.com is a new animation video portal that shares revenue with animators. The brainchild of independent animator Shawn McInerney, ToonBreak is unique in that provides multiple tools for animators to generate revenue. Animators can earn money through video ads, text ads, merchandising, and donations. All of this is currently done through third party systems such as Revver, Google Adsense, PayPal Donations, and links to the animators’ online stores. ToonBreak’s deal is non-exclusive, and does not seek rights beyond those needed to show and generate revenue from the videos. That sounds like a much better deal than anything currently offered by Aniboom. For a taste of Shawn McInerney’s work, check out this Channel Frederator video podcast. What’s your opinion? Cast your vote in the poll in the column to the right of this post.